Oksana Shakhray with a call sign “Mama” (mother) recalls her service at Ukraine’s National Guard as a paramedic. 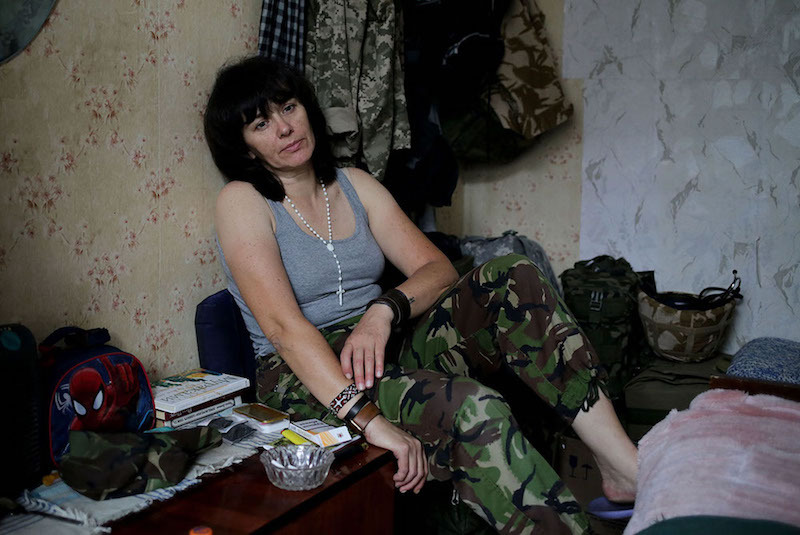 At home, in Odesa, Oksana has two sons and a grand-daughter, while at the war zone in Eastern Ukraine she has dozens of soldiers whom she treats like her own children. – Down in the Valley ballad, as collected by Carl Sandburg and published in The American Songbag, 1927. 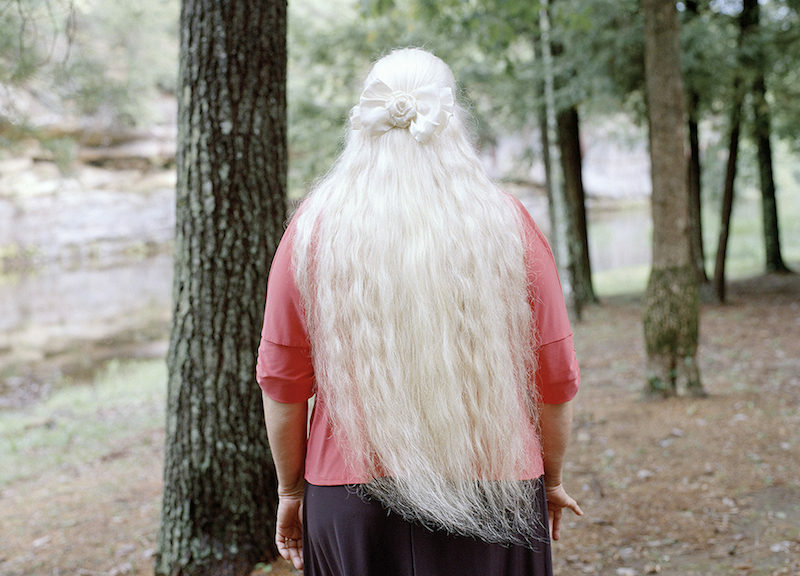 Silent Ballad: Time Sings in the Cumberland Plateau is a quiet look at musical heritage in America’s Appalachian region. Old-time musical traditions, faith, and story-telling all inform this portrait of place. 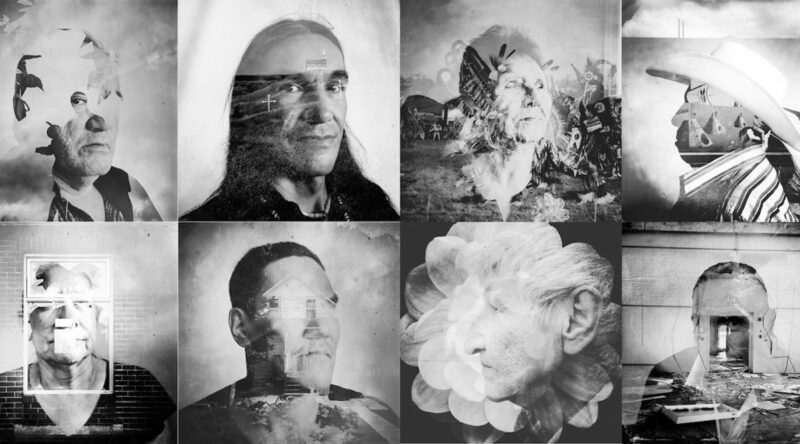 Reflective, mysterious moments of pause punctuate portraits of the musicians and artists themselves, highlighting the vacuum of time and space that separate these songs as they ring out in a rural, mountainous landscape. It is a hot day in the desolated Simpson Desert, Australia. A man walks through the tunnels of his underground house with a torch in his hand. He lives twenty-five meters under the red soil, where he has been finding opal. It was an old mine that he transformed into a roof over his head: a home that promise to have plenty of opal in the walls. “I got my own bank if I want to get a shovel out,” says Martin, an English miner. Coober Pedy, which derives from the aboriginal name Kupa-Piti or, white man hole, is a small town in the southern Australian outback over 500 miles from the nearest city. Coober Pedy inhabits a subterranean culture, in which the majority of the population goes after the great wealth of opal. This is an unconventional town where most of social and personal life takes place under the vast and lonely land itself. Coober Pedy is the largest opal mining area in the world and since 1915 has been mined for its opal, a valuable gemstone worth millions. Cobber Pedy breaks all of the social structures and rules of a conventional town, and for a moment, it deceives you; at first glance this is nothing but a ghost town. In reality, it is a subterranean culture that is as mysteriously dark as it is bright and beautiful. 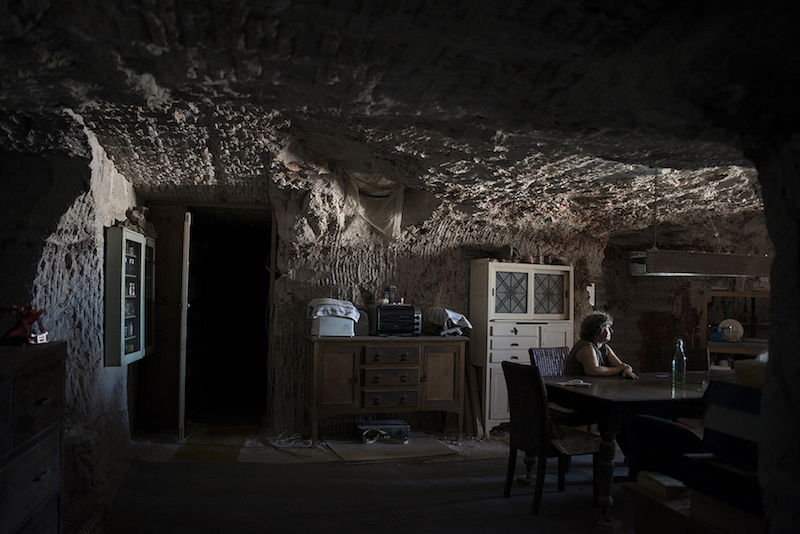 Among a population of 1695 habitants, Coober Pedy offers a home to forty-five different nationalities of immigrants, ex-prisoners, and veterans of the World War who have decided to escape their past lives and take refuge in underground houses called dugouts. Each year, mining work has been decreasing on all fronts. There are less miners working on the fields and young people don’t want to commit to it because of the eminent danger and its unstable source of income. It is a crazy and unusual life; they could be millionaire any day or they could not find anything for years. This gem reveals the hidden motivations of those that follow its illusion of wealth, and an atmosphere of distrustful eyes and mystery await those who go after its allure. Opal fever takes place and that’s when the madness, ambition, greed, despair, distrust and obsession begin. My uncle remembers fondly driving a Freezy Palace ice cream truck around West Baltimore the summer before his freshman year of college in 1965. He remembers the “vibrant street life” and the “active, close knit” black middle class community that would line up with “enormous sunny smiles” to hand him silver coins in return for soft serve ice cream cones. It was at this time that West Baltimore was at its finest. The black community was thriving, restaurants and shops were booming, and Pennsylvania Avenue was the hub of entertainment and culture, having showcased some of the biggest artists in history including hometown legend Billie Holiday. Drive through it today and you will see nothing but rows of abandoned homes and blocks of extreme blight, skeletons of an era that once was and fragments of a city that has been plagued by systematic racial inequality, economic disparity, rampant drug abuse, poor education and police brutality. On April 19, 2015, a 25 year-old Freddie Gray from West Baltimore died under police custody after having suffered a spinal cord injury from his arrest. Days of protests followed which lead to violent clashes with the police on Pennsylvania Avenue just hours after Gray’s funeral on April 27. A long night of rioting broke out all over the city causing $9 million in damages and a staggering increase in the homicide rate that year—344 deaths in total, the highest in decades. 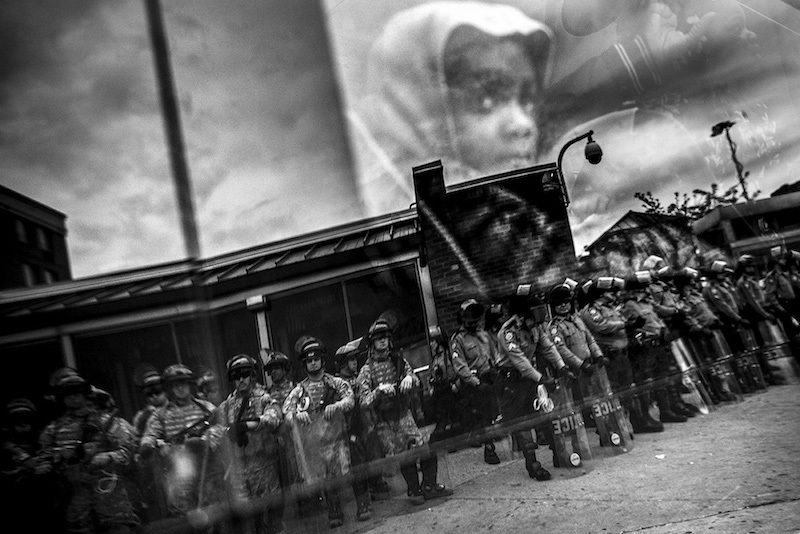 Not since the death of Martin Luther King Jr. has Baltimore seen such violence, forcing Baltimore residents, its city council and police department to confront the issues that have long been ignored. Local organizations and activists have kept the conversation going but it will take time and constant perseverance from all sides before real change can be seen. This project seeks to take a closer look at the issues and changes Baltimore’s underserved and forgotten communities are facing after the national attention surrounding Freddie Gray’s death. For the past three years in which I have been covering Baltimore, I am interested in areas that will have a large impact on the city’s future, particularly in the housing development. Governor Larry Hogan plans to spend $700 million in the next couple years tearing down thousands of blighted homes and investing in low-income housing. There has been much discourse on how to solve the blight problem in the city with many residents hoping to renovate instead of creating more empty lots. I want to look deeper into these policies and what the city has planned for these communities, documenting the buildings before they are torn down. Much of the architectural history in these neighborhoods has already been lost. I hope to research its history and to team up with historians and architects who are working to save what is already there. I also want to look at what the city is doing to redevelop its low-income housing and the many problems its tenants face such as lead poisoning and sanitation.